Q. How are Syngenta and Ag Connections helping growers connect better to their farm data? 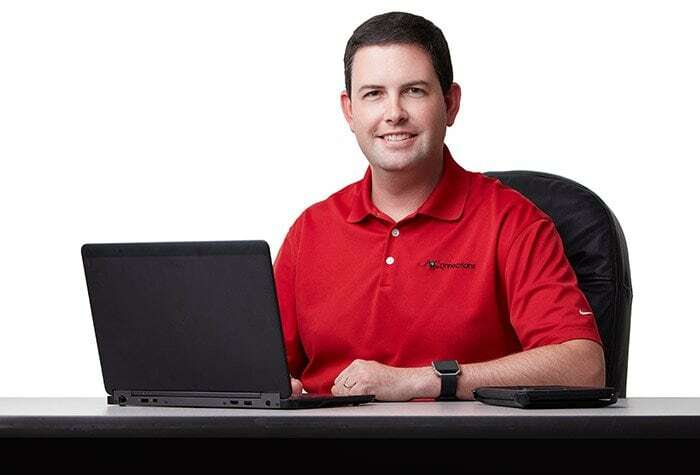 A. Joe Ben Bogle, support manager at Ag Connections, a wholly owned subsidiary of Syngenta Crop Protection: The digitization of farm data has led to more immediate access to data in a much more portable format than in the past. The automated nature of data collection from machinery has also created a greater quantity of information that’s being stored in multiple ways. This presents a huge opportunity for growers to manage their operations more efficiently, but only if all the sources of that data can communicate. We are contributing to a project that does just that. Ag Gateway, a nonprofit consortium of more than 230 ag businesses, is leading an industrywide project known as the Agricultural Data Application Programming Toolkit or more simply, ADAPT. Syngenta and Ag Connections are members. Additionally, growers enrolled in the Syngenta AgriEdge Excelsior® program have access to Land.db®, our exclusive, ADAPT-compatible farm-management software. But growers continue to look for ways to further connect the data dots on their farms. In response, Syngenta recently partnered with Premier Crop Systems—another early developer of digital agriculture tools—to provide data-driven agronomic recommendations for millions of acres of farmland. These system integrations and the free flow of data between systems have created an important discussion around data confidentiality. While some growers are OK with sharing their data, others see their farm data as personal, private information. Whatever their stance, growers should be aware that different privacy policies apply as data transitions occur. Grower data is the property of the grower. Ag Connections only uses the data to support the grower and as authorized by the grower. Ag Connections only shares grower data as requested or authorized by the grower. Ag Connections doesn’t analyze, aggregate or data mine grower data, unless requested or authorized by the grower. Our everyday standards and practices reflect this. For example, even as a wholly owned subsidiary of Syngenta, Ag Connections doesn’t release data back to Syngenta, except as permitted by grower agreements. Before Ag Connections accesses a grower’s data, our internal systems require us to input justification for doing so, such as a customer’s request for help or a system incident that needs further investigation. We’ve also developed standard procedures in how we identify customers who request help in sharing their data with business partners. Further analysis and aggregation doesn’t occur without written permission from the grower to do so, such as agreeing to participate in a Syngenta Sustainable Sourcing initiative. We take a hands-off approach, unless there are specific grower instructions to interact with the data. Q. How do Syngenta and Ag Connections support data privacy and maintain growers’ trust? A. Syngenta and Ag Connections wanted to do more than just say we protect grower privacy. We wanted to prove it. We have collaborated with PricewaterhouseCoopers (PwC) to audit our practices and procedures regarding data confidentiality. By partnering with a premier firm like PwC, we can provide the highest level of confidence that we’re upholding our privacy commitments to growers. We selected the American Institute of CPAs Service Organization Control 2 report, which provides a comprehensive review of our internal controls for human resources, information security, software development and customer support, along with the additional criteria for data confidentiality. PwC has conducted on-site inspections and has helped Ag Connections improve any policies and procedures to better protect data. Based on feedback, we’re implementing any procedural changes that would improve our data protection and maintain privacy. Syngenta has also formed a Grower Advisory Council, made up of growers enrolled in the AgriEdge Excelsior program who provide feedback on different aspects of AgriEdge®, including data confidentiality. This group receives ongoing reports regarding the status of confidentiality audits and can offer an in-field perspective. Through partnerships, @SyngentaUS works to develop solutions to help growers better use #agdata. Q. How are Syngenta and Ag Connections advocating for grower data security in the industry? A. When big data started gaining momentum in agriculture, there were concerns for growers’ data privacy. The Farm Bureau stepped forward as the first association to start an initiative aimed at helping protect that privacy. Syngenta and Ag Connections were among the first to sign the pledge and are supporters of the Farm Bureau Privacy and Security Principles for Farm Data. These principles are recognized as best practices for ag technology providers. They can be reviewed at the Farm Bureau’s Data Privacy webpage. At Syngenta and Ag Connections, we’re always looking out for what’s best for growers and our reseller customers. It’s the foundation of everything we do. That includes making sure farm data continues to be private to the grower and secure.